Painting on glass in acrylics can be difficult and the results often unsatisfactory... but working on FROSTED GLASS is easy and fun! We've been creating painted luminary vases and jars for all occasions using several kinds of acrylic paints and mediums, and they are gorgeous! Get started with this FREE mason jar project for summertime decor. It features DecoArt Gloss "Frost:" acrylic paint (White base), Texture Medium (for dimension), and Gloss Gel Medium (for more texture and shine). 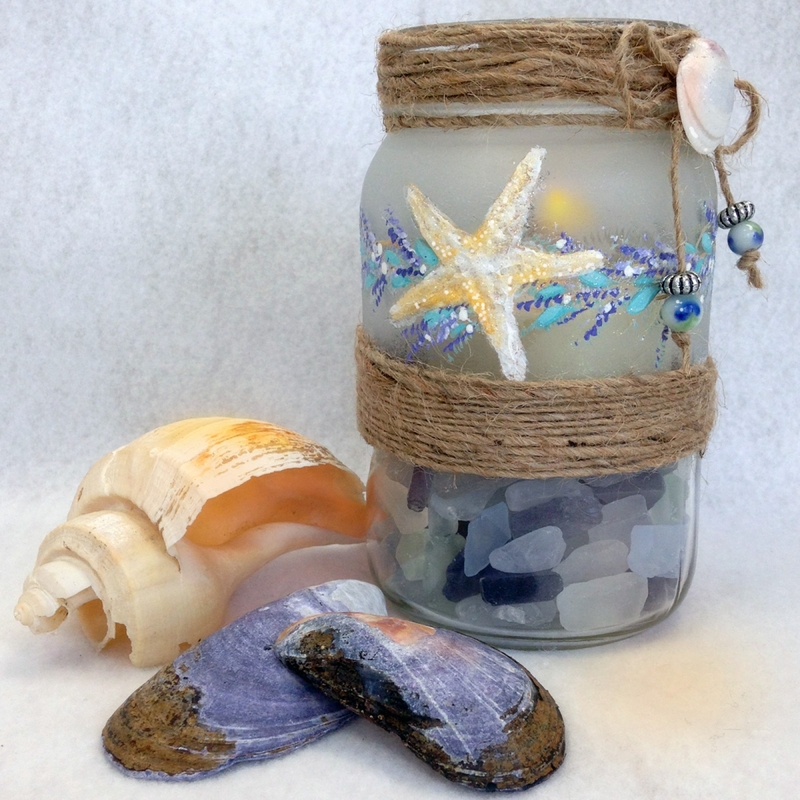 Fill with sea glass, shells, craft sand, or glass beads; add a flameless candle, and light up those summer nights!